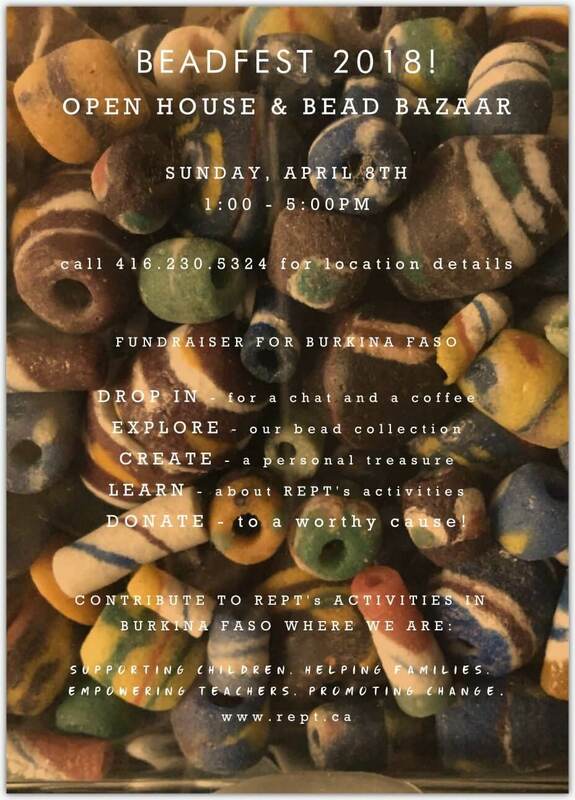 Please come join us for our annual Beadfest and Bead Bazaar. Sunday April 8, 2018, 1 to 5 PM. Call 416.230.5324 or email broussel@rept.ca for further information and location details.